Martha barely knows Olive, a girl in her class. No one does. But when Olive is killed in a hit-and-run accident and her mom gives Martha a page out of Olive's diary, it really affects Martha. The diary page reveals that Olive thought Martha was the nicest girl in class and that she wished they could've been friends. Olive also wrote that she longed to see the ocean. So when Martha's family spends the summer at the beach, Martha can't get Olive out of her head. 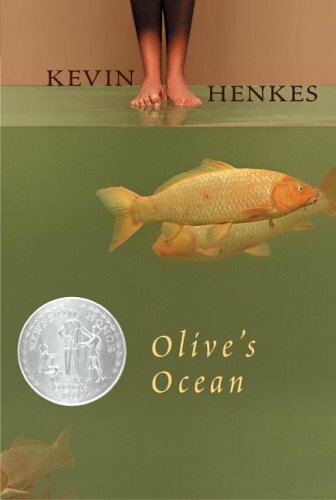 Olive's Ocean is one of my all-time favorite books. Just like Martha couldn't get Olive out of her head, Martha haunted my thoughts for the longest time.